SHANGHAI (Reuters) - Chinese smartphone maker Xiaomi Corp beat quarterly profit estimates as it dominated the fast-growing Indian market and sold more expensive handsets in Western Europe, but shares slid as revenue fell short of expectations. Xiaomi's quarterly results - the third set since its IPO in Hong Kong - show the company is weathering fairly well a slowdown in demand in China by increasing its focus on international markets. Its fourth-quarter net profit more than tripled to 1.85 billion yuan ($275.6 million), exceeding the 1.7 billion yuan average estimate. Xiaomi is cutting its dependence on China, where the economy in 2018 expanded the least in nearly three decades. It got about 60 percent of its total revenue last year from China compared to 72 percent in 2017. The company's shipments to China for the quarter plunged by more than a third to 10.3 million smartphones from a year earlier, while its market share slid nearly 4 percentage points to 10 percent, according to market research firm IDC https://www.idc.com/getdoc.jsp?containerId=prAP44865419. Revenue for the quarter surged 27 percent to 44.4 billion yuan but fell short of expectations of 47.4 billion yuan, according to Refinitiv data. Shares in the company fell 5 percent on Wednesday. They have rallied nearly 30 percent since early January but the stock remains well below its July listing price. "If you look at the quarterly revenues from the phone sales, they were quite a bit lower in the fourth quarter than they were in the third quarter," said Morningstar analyst Dan Baker. "I think that has probably caught people by surprise. It's more volatile than people thought it would be," Baker said. 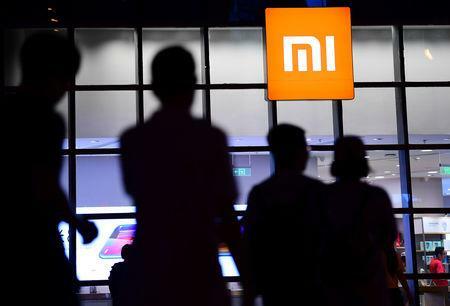 Smartphone revenue in the period rose 7 percent to 25 billion yuan ($3.72 billion) and almost a third of that came from phones that cost nearly $300, Xiaomi said. In the third quarter, revenue from smartphones was nearly 35 billion yuan. After broadly rolling out in Europe early last year, the company now ranks as the region's fourth-largest phone vendor. In India, it has been the top selling smartphone maker for four quarters, toppling Samsung Electronics. "We will continue to explore the global markets and replicate the success in India in other key markets such as Indonesia and Western Europe," Xiaomi CFO Shou Zi Chew said on a call with reporters. "We will also expand into more new international markets in 2019." Xiaomi has also revamped its smartphone lineup, paving the way to sell more expensive devices that can raise profit margins, the company said in its earnings report. In February, upon the launch of Xiaomi's new flagship Mi 9 phone, founder Lei Jun said the device would be the company's last such handset priced at under 3,000 yuan ($447). The company's overall smartphone average selling price last year was about $143. For comparison, Apple's was $793 in its first fiscal quarter of 2019. In China, the average selling price of the company's phones increased 17 percent last year, while overseas they rose 10 percent. Sales from smartphones made up nearly two-thirds of Xiaomi's overall revenue in the fourth quarter. Money from other hardware accounted for a quarter while the rest came from internet services.